In this book, each pattern is accompanied by encouraging stories from other crafters and blessings to knit by. 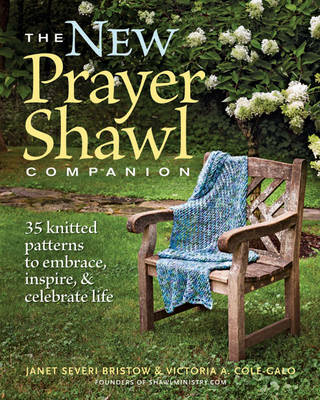 "The New Prayer Shawl Companion", the latest book in the best-selling "Prayer Shawl" series, supports and inspires these dedicated knitters with a host of new stories and patterns for boundless creativity. Knitting enthusiasts, both amateur and professional, will embrace the 35 easy-to-follow prayer shawl patterns in the book - some designed for times of celebration, others for solace and remembrance.